Penang White Coffee have been manufacturing instant coffee for more than decades and specialized in various kind of white coffee with its wide range of flavours and choices of rich, tasty, and soothing aroma white coffee, black coffee, chocolate coffee, coconut coffee, durian coffe and etc. Penang White Coffee is a special blend of Instant coffee powder, non-dairy creamer, fine granulated sugar which has a awesome coffee taste. 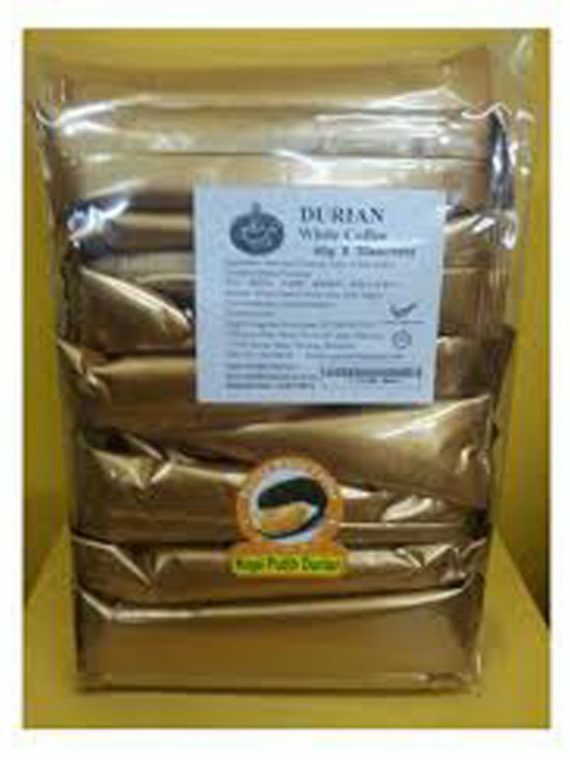 Penang Durian and Coconut White Coffee is a unique blend of coffee powder, non-dairy creamer, fine granulated sugar, fine coconut powder which is blended in well adjusted ration that promises rich and distinctive delicious aroma of coconut and coffee.